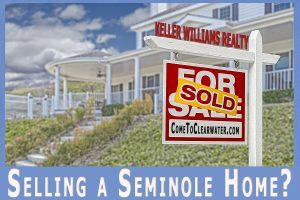 Selling your home in Seminole? 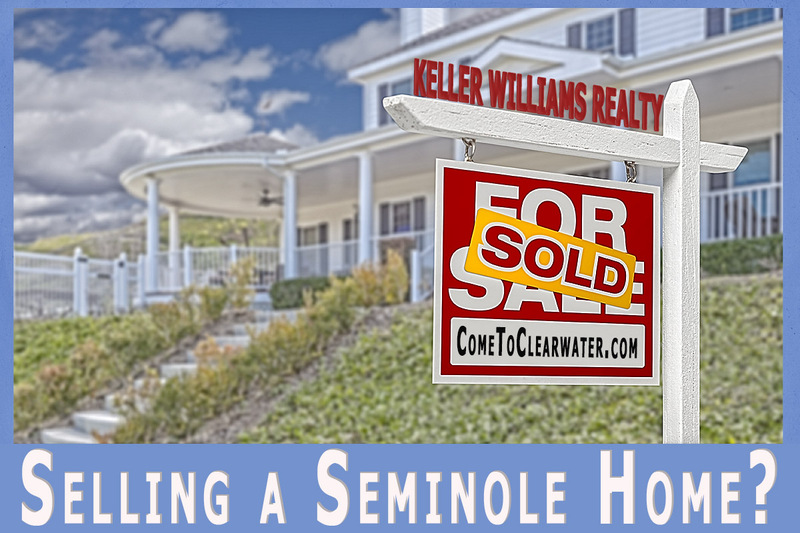 Seminole is a great place to live, but you know that already since you have a home there. Seminole was first settled in the 1840’s. The settlers found a native American tribe named the Seminoles, so they named the area after them. Seminole is located about 17 miles West of St. Pete. If you are relocating and thinking of the commute, it is about 45 minutes to an hour during rush hour to Tampa. The real estate agents at Keller Williams Seminole are pros who will help you sell your home for the best price to the best buyer. They’ll start by talking with you about what you need to know – what to expect step by step. They do this by talking with you to find out your situation and future plans. Knowing your wants and needs will help them give you the best service. Remember that Keller Williams Seminole represents you and although they are happy to help buyers, your needs and wants are their responsibility. They take that responsibility seriously and will show you at each step. They’ll do a thorough evaluation of your home via a detailed walk through. They’ll take that information and use it to do comparisons to other homes that have sold in the area that are similar to yours. Using that information and their extensive knowledge they will price your home at the best price to sell. Your Keller Williams Realtor is there to walk you through the process and make sure you have the knowledge you need to make the best decision in the sale of your home. You and they know the community so well, but you won’t be around to help the new owners of your home settle in. Your KW agent will. They will be that local expert for buyers who will advocate for your community, neighborhood, schools, shopping, restaurants and trends. Seminole is a fantastic area. Help someone else find that out by listing your home with Keller Williams Seminole. You won’t regret it for a second. You’re working with your Realtor to price your home and he starts talking about comps. So what are they and why are they such a big deal when you price your home. What are comps or comparables? Comparables, or comps, are lists of homes that are similar to yours that have recently sold. They use it to get an idea of market price. Here’s how it works. Let’s say you have a 4 bedroom, 2 bath home on a quarter acre. Your Realtor will put that information into a database of recently sold homes and find ones that are like yours to see what their selling price was. It’s a typical way to get a price, though not all comps are created equal. The problem comes in when there are one of a kind items in your property or in the others. That can seriously affect how your home is priced. If it prices your new home too high, you’ll have problems selling. Too low and you cheat yourself. Living in or close to a crime ridden area, or more accurately, on a crime ridden block or two. If you live on a good block, but one or more of the comps are from a not so great block, their values would be lower than yours should be, or visa versa. If this is the case, your Realtor should hit the streets and find sales closer to home. Should being the operative word. In the same boat is if your property, or the others, have the misfortune to be next to a serious problem, like a Superfund site, mill, water or waste treatment plant or airport. Check the comps and see if they are not just beds and baths similar, but square footage similar as well. There is a big difference between a 3 bedroom home that has 1500 square feet and a 3 bedroom home with 2500 square feet. Also the size of the rooms matters. A 1970’s home has impossibly small bedrooms as opposed to a newer construction that made bedrooms larger. Your best bet is to be educated and not be afraid to challenge any comps you see that aren’t truly comparable. 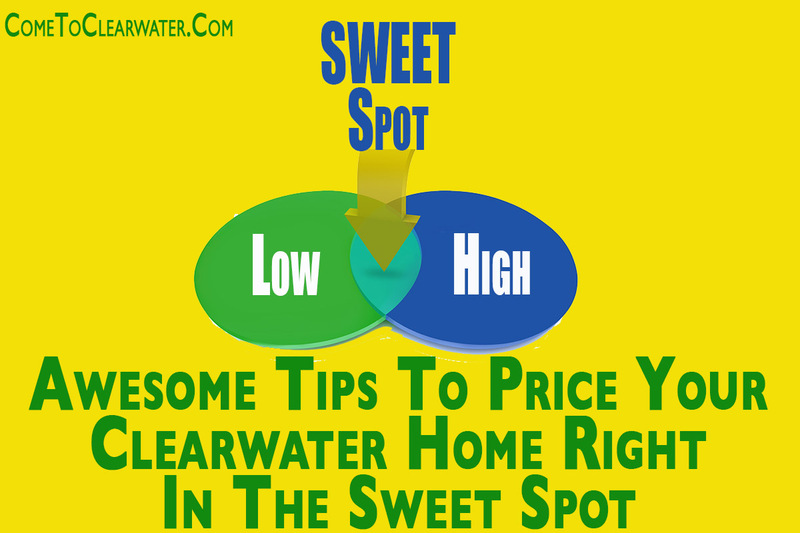 It’s time to sell your Clearwater home. Do you know how to price it to get right into the sweet spot? That sweet spot where the home sells quickly and for the price you ask? There is a way to find that spot and here are some tips to get you there. Keep in mind that the asking price of a home is a lot different from the sales price of the home. 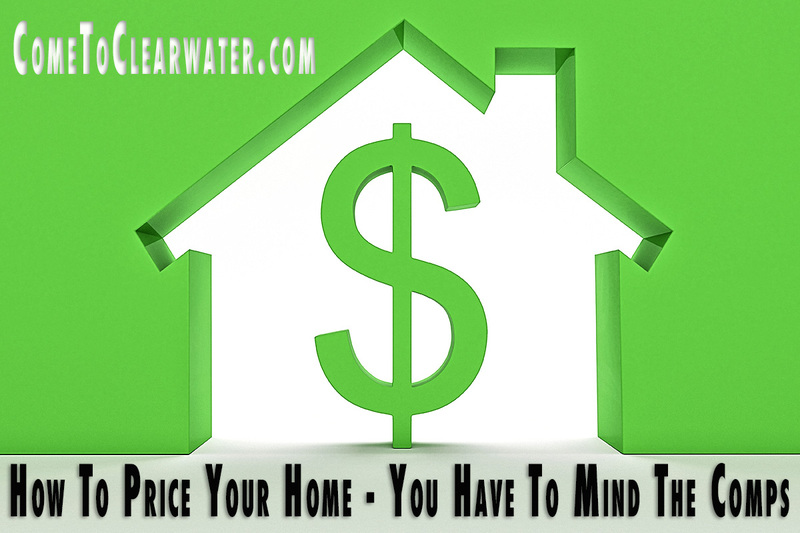 For comparables you need to look at sales price, not list price. Look at sales prices for homes sold within the last three months. Next thing to keep in mind is that just because a home is in your neighborhood doesn’t mean yours is worth the same. There are a lot of different specifics to take into consideration. Things like lot size, number of bedrooms, number of baths, square footage of living space, whether it has a garage or not, and so on. Other things that make a difference are home upgrades. Just remember that improvements depreciate over time. If you made a home upgrade to a bathroom 10 years ago, it won’t add as much as an update you made a month ago. Also keep in mind that super trendy updates can actually hurt your value. Why? Because they appeal to a smaller audience. In a seller’s market, which is a market where there is a lot of people wanting to buy but not as many homes on the market, you can get away with a higher price. But don’t let that make you greedy. Sometimes pricing just below market can work for you. It could generate enough interest that a bidding war happens and you get more than you expected. Of course that isn’t guaranteed, but it’s happening more these days in some places. In a buyer’s market, which is when there are more homes listed than there are buyers looking, you might need to price your home a bit lower than market value to attract a buyer. Still not sure what to do? 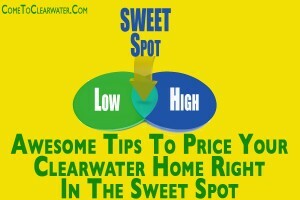 Call a the Deborah Ward and Associates for great advice 727-216-9247. No one knows the local market better.